I try to feed my worms as much "organic" vegetables as possible. I pick up kitchen scraps from a local organic café and the worms really like the fiber from the juicers. Melon skins, avocados (except for the seed) I stay away from store-bought vegetables that say "washed 3 times". California farmers spray from the air and that spray is meant for insects AND worms. I also stay away from manures... Horse manure may contain "de-worming medications" and many cows are now being given growth hormones. Besides, I take many of my worms to schools and I do not think they should be putting their hands into worm bins that have manures in them (think about pathogens. 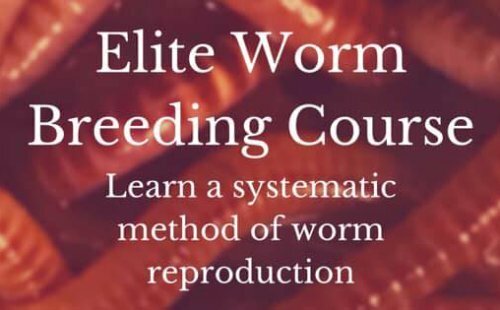 Thanks for your site and sharing the information for worm growers. I maintain over a dozen worm beds, from the Rubbermaid totes to 4 X 8 ft in-ground beds. Comments for What Makes Good Worm Food? Pulp from juicers is one of my favorites when it comes to kitchen scraps. They can usually eat it all up within 1 week depending on what type of worm you have. When getting any manures from a farm even the cold manures from ruminant animals it's a good idea to precompost it first if it has worming medications. I do know some who have horses and they wait a couple of weeks (I believe) before harvesting the manure. The precomposting and wait time has worked and they have not seen any worms die from this practice. If taking one to a school or using a worm bin in school using rubber gloves is a good practice. I personally like the contact but many parents would be frightened to hear that their kids touched potential pathogens. Worms do a great job at ridding the compost of any harmful pathogens. BUT you just don't know what's in the material without having it tested in a lab. Kids put their fingers all over everything and germs will definitely hide under fingernails, even when washed. Rubber gloves in the classroom is best. Thank you so much Richard for sharing with the community. I visited Auburn 45 years ago. Beautiful place. Just a few comments. There is no need to avoid manures because of the possibility that they may contain wormer in them. Not all worms are the same and the worms we raise are not the same as the parasite worms. The wormer will not harm composting/earth worms. There really is no need to use manures with worms it's just more convenient. I agree that if children are going to be in contact with the worms, manure should be avoided. Join in and write your own page! It's easy to do. How? Simply click here to return to Share Your Worm Food .